Create, source & sell physical products on Amazon.com. This happens to be my main income. Difficulty score: newbie friendly. I'm saying it's newbie friendly because my Mom literally created her own product, got her first sale in 6 months, and is still selling 9 months strong. BUT – it was with my help & guidance. So if you get a mentor who's done it before, join a mastermind group, and/or take an online course – this is definitely doable even if it's your first online business. Startup cost: medium – $500-$2,000, first test order typically is around this . Scaling cost: high – $2,000-$15,000, after a successful test order, usually you will want to at least double your initial investment to buy your next batch of inventory. Possibly revise the product to make it even better. Passive Score: high – relatively passive to start, and can be very passive after first year. Depends how much you want to outsource the upkeep, as always. Typical home run rate: 1 in 3-4 products of mine have been 'home runs'. The killers - the ones that stay ranking high for multiple years, and continue raking in the good reviews. These are what we all aim for, but the reality is they're difficult to produce, thus more rare. It will come down to how smart you are with your idea! While most private-label launches are not killers, it CAN be typical for most of your products to be somewhat profitable, but not making a killing. Realistic time to first sale: 4-6 months. I've done it in 3 months, took my Mom 6 months. Realistic time to 100% ROI: 6-9 months. You're creating a real business that takes lots of work, but can be built at your own pace like any side hustle. Create your own physical product. Source it in bulk for cheap and sell it on Amazon for retail. Get sales from organic searches it on Amazon.com. This is our main income. Do deep niche research to find an opportunity in a small niche, strategize on how to make it better or stand out, then source it in bulk via a supplier on Alibaba.com. We have a handful of products that sell on Amazon on autopilot. Amazon's dozens of Fulfillment by Amazon (FBA) centers make it so they handle all the inventory & shipping – so we never have to touch our inventory. It's what allows anyone in the world to sell a product on Amazon.com. 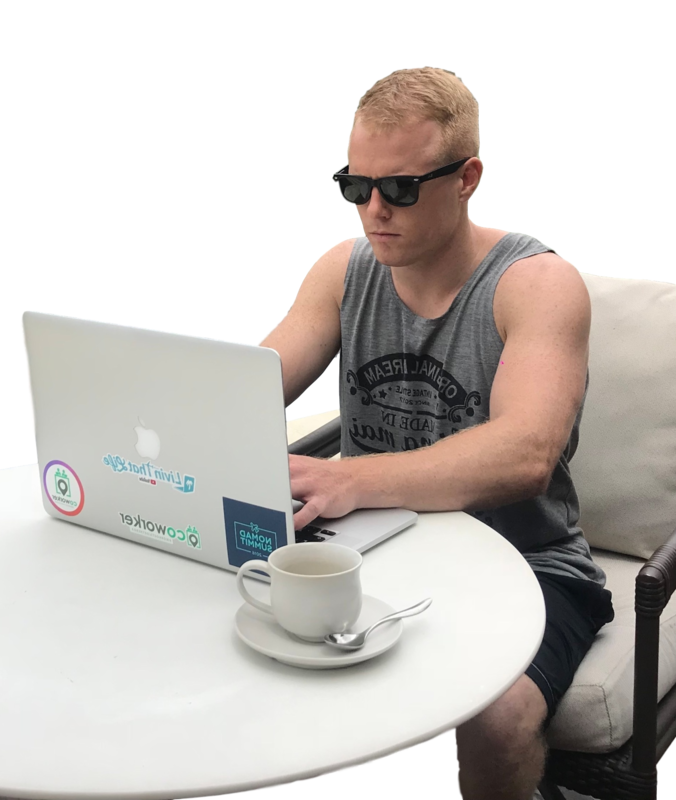 It happens to be how I make my main income ($4-$10k/mo) and what allows Parker and I do to spend most of the year out here in Tropical Asia, as we can run our Amazon store from anywhere. It's totally location-independent. We create & order products in bulk, send them to Amazon's FBA Warehouses, it goes live on Amazon.com, and they handle the orders it from there. Now of course, Amazon is a competitive marketplace, like any marketplace, and a lot of smart work goes in to finding what to sell. f you know a little bit about it but want to know exactly what is entailed & what it takes, including realistic time & cash investments, I make a mini crash course for that. See it here. The most comprehensive, well put together, (and beautiful looking) course. Benji and Evan reached out to me about what they are doing, and they have been real the whole time dealing with them. You can tell they put their heart and soul into their course, and they and their team has done a great job putting it together. And they're constantly adding updates, so you'll be sure to get the most up-to-date Amazon Secrets! Click here to watch their 1-hour free training, followed by a special offer on their full course, for those ready to take action! I've used Viral Launch for literally all of their services. They have the best Market Research tools, including their Chrome Extension, and web tool for deeper analysis. They also have a Keyword Search Volume tool, which is a must have. Can I do this if I'm not a US citizen? Yes! I know many sellers who are not American but have businesses selling on Amazon.com. What's the best way to get started, Riley? People always ask me about how to navigate this business, so this is exactly why I recommend a step-by-step course – an all-in-one place I can refer my friends and subscribers to, that goes over everything we did to find our product, come up with concept ideas, source it from Alibaba, make revisions, make a test order, and ultimately launch & grow it on Amazon. If you know you want to get into the ecommerce game – start NOW! Like THIS WEEK! A year from now, you're gonna wish you'd started today. Trust me. It's never going to be 'too late' to get into Amazon Selling. The game is just constantly evolving.... like ALL 21st century business! The best way to get started is to enroll in an online course, hunker down, and just TAKE ACTION! There are lots of YouTube videos out there, but online courses lay everything down in a step by step fashion – so you're not distracted by the information jungle out there. So the best way to get started is to simply enroll in a course and go! My recommended course is Amazon Secrets 3.0 by FBA Freedom Formula. So click here to watch their 1-hr free Training, and if it seems like it's for you (it's be best course I've seen) you will get a special deal on their course. And simply buy the course! That is how you get started! Period. Enrolling in the course is your commitment! To taking this seriously, and to taking action NOW, instead of putting your freedom off. I see no better way to get started than enrolling a course! It worked for me in 2013 when I bought my first online course. So put your money where your mouth is and LET'S F*CKIN GET AFTER IT!